Its reputation built on manufacturing and textiles during the industrial revolution, Manchester has continually reinvented itself and today is notable for its architecture, media links, science and engineering and of course, its music scene, and home to two top Premier League football sides, Manchester United at Old Trafford and Manchester City at the Etihad Stadium. For cricket fans there is the Emirates Old Trafford, home of Lancashire Cricket Club. 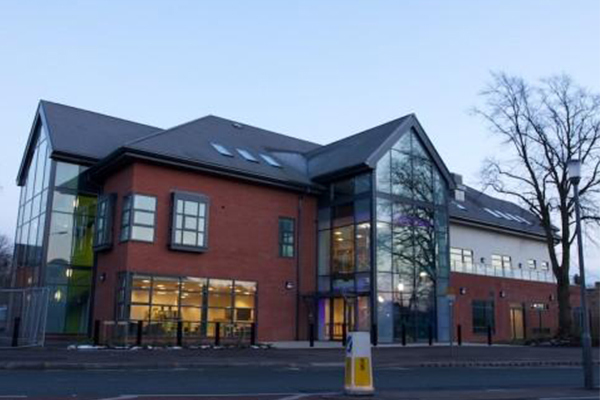 The LifeCentre is a truly multi-purpose facility, with all kinds of users enjoying our flexible spaces and top-quality equipment & services. Why not have a look at how some of our clients use the Centre, then get in touch with one of the team. Situated in the heart of the North West, Bolton Whites Hotel is an ultra-modern venue, fully integrated into the Macron Stadium, providing a memorable location for any stay or event. 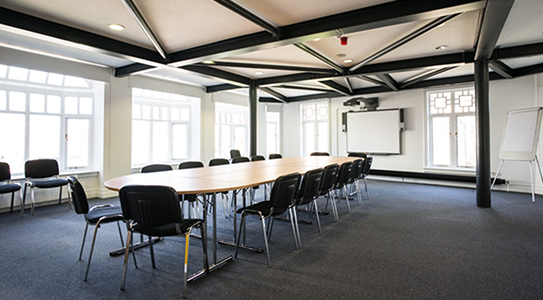 Have you discovered Manchester’s King’s House Conference Centre yet? 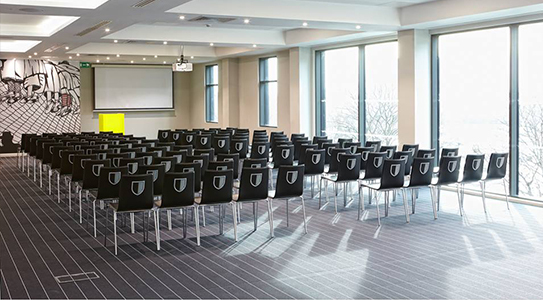 King’s House Conference Centre is steadily becoming one of Manchester’s premier medium-sized versatile conference venues. Manchester has fantastic transport links and became the first city to open a modern light rail tram system the Metrolink in 1992, linking areas such as Altrincham and Bury to the city. 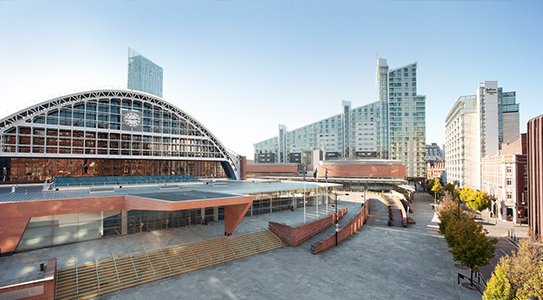 With Manchester Airport the third busiest in the UK and Manchester Piccadilly train station the busiest mainline station outside of London, allied to fantastic motorway access via the M6, M60 and M62 Manchester is easily accessible making business meetings in Manchester an easy proposition. Conference Venues in Manchester have been long established and in keeping with Manchester’s position as one of the UK’s largest serviced based economies, the city is the fifth-largest financial centre in the United Kingdom outside London with more than 96,300 people employed in banking, finance and insurance, including the headquarters of the Co-operative group, the world’s largest consumer owned business so there is major demand for Manchester venues. As with most major cities there is a strong presence in the form of new media, technology, marketing and PR companies, many of whom are tasked with bringing new ideas to the market place. 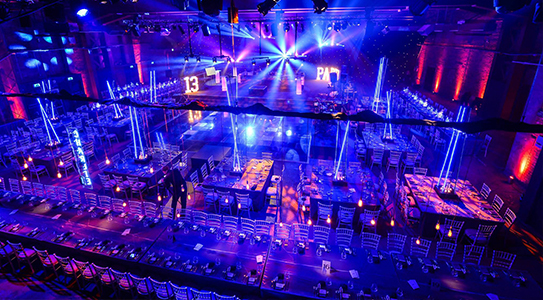 With this in mind there are numerous Manchester venues that are ready to host brainstorming and breakout sessions. Many of these venues are purpose built and eclectic and most will provide you with Wi-Fi, refreshments and event documentation, to help keep those ideas ticking over. 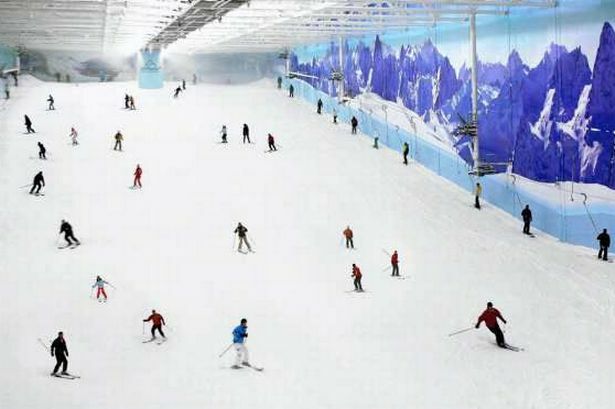 Manchester has everything from the biggest arena right through to serviced offices, so dependent on your needs you can find what you want quite easily. If you are looking to entertain clients then you would look to choose a Manchester corporate hospitality venue or a corporate event venue. 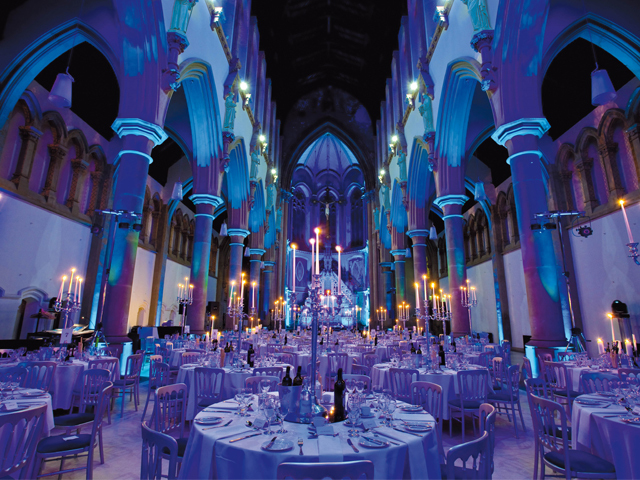 There are a myriad of wedding reception venues in Manchester and due to the number of buildings with stunning architecture, you are sure to find the perfect backdrop for those memorable wedding photographs. Manchester has a diverse ethnic population and therefore there are many Asian wedding venues in Manchester that can cater for large or small celebrations. Manchester embraces the festive season like no other, with its annual Christmas market and a purpose built ice rink situated around the Spinningfields area. Around this time thoughts turn to organising the annual office Christmas Party in Manchester. 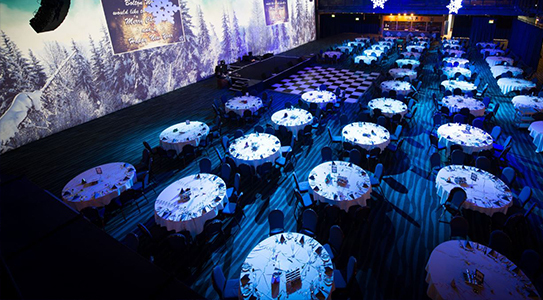 There are many venues that will organise themed or shared Christmas parties, and if your company is looking to utilise the services of a celebrity, there is plenty of opportunity to host an executive Christmas party in Manchester. When your conference or event is over, you cannot fail to be impressed by Manchester’s fantastic nightlife, restaurants or shopping. 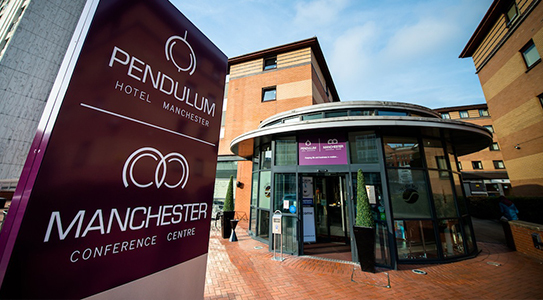 Whatever your needs, Manchester fits the bill.